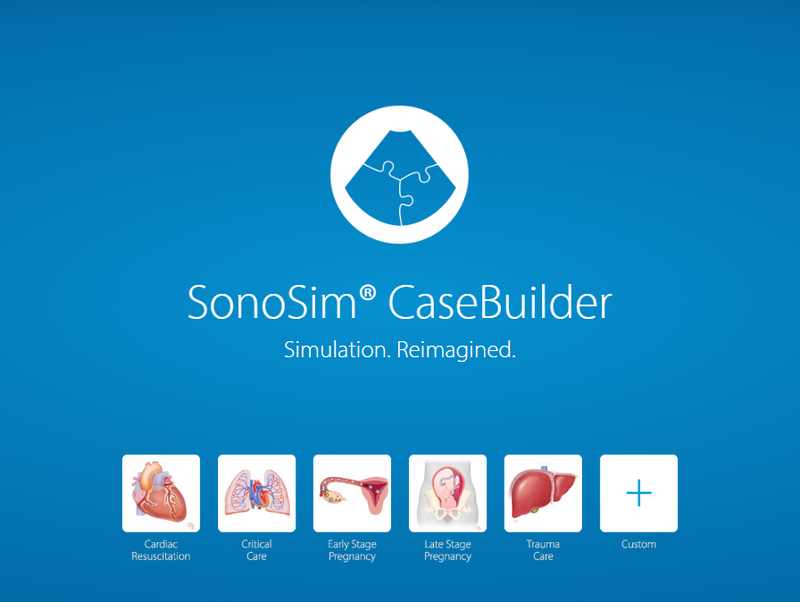 SANTA MONICA, Calif., June 30, 2016 /PRNewswire/ — SonoSim, Inc., a leading provider of ultrasound education and simulation, and creator of the SonoSim® Ultrasound Training Solution and SonoSim LiveScan®, has announced the official commercial release of its latest innovation, SonoSim® CaseBuilder. SonoSim® CaseBuilder lets ultrasound educators create custom ultrasound training cases and bring them to life. As ultrasound proficiency standards evolve and become more rigorous, ultrasound educators are in need of more robust training and assessment tools. SonoSim® CaseBuilder further pushes the boundaries of medical simulation, while providing educators a fun, creative, and effective training resource. SonoSim® CaseBuilder expands on SonoSim LiveScan® technology, allowing for educators to handpick and combine ultrasound datasets in a virtual patient, and then scan those datasets in real life using training mannequins or live volunteers. With hundreds of SonoSim LiveScan® ultrasound data sets to choose from and multiple imaging window combinations, the possibilities are virtually limitless. SonoSim® CaseBuilder makes it easy to integrate ultrasound into current classroom curricula or objective structured clinical examinations (OSCEs), by allowing instructors to customize the cases for their students. Cases can constantly be edited, deleted, and created to carry ultrasound training throughout various learning blocks. SonoSim is now accepting orders for this highly requested application. View the official press release at prnewswire.com.